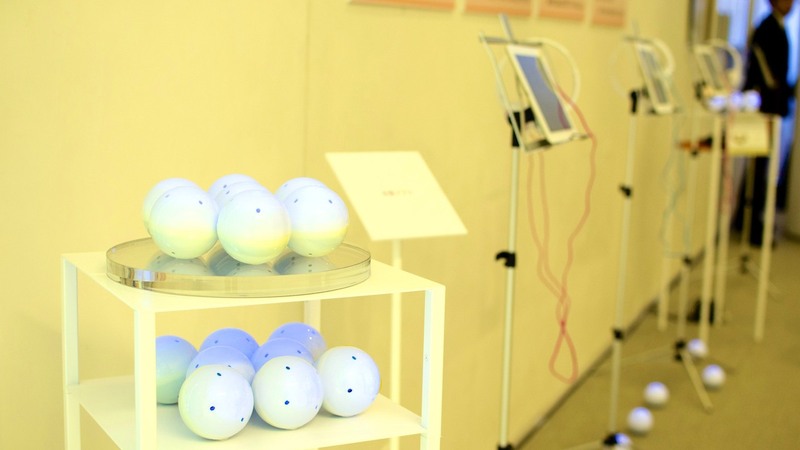 Drops is a tiny sphere device that visualize the strength of surrounding sounds by light emitting device. 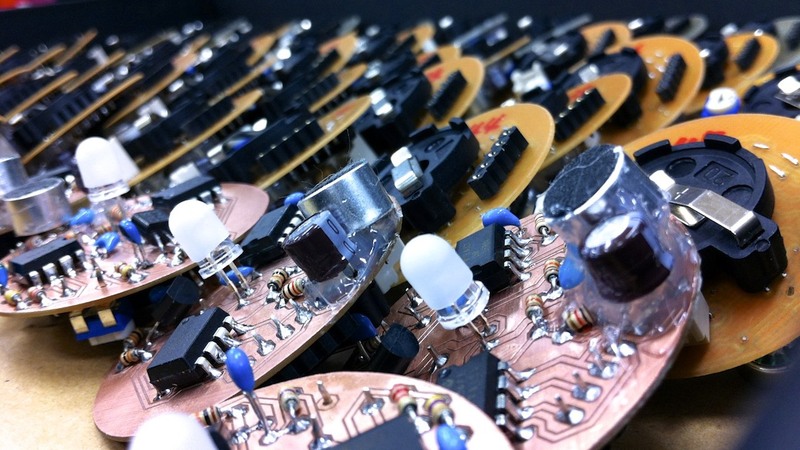 It equips a microphone, audio amp circuits, a microcontroller and a LED inside. The microcontroller converts the incoming sounds into luminous information on the basis of pre-defined mapping perception function. The hearing-impaired children are able to perceive how their voice spread in a space through visual sensation, thus enabling to assist their voice training. In 2014, this device was demonstrated at 80th anniversary event of SHISEIDO’s Beauty Consultant with the cooperation of 2nd group of beauty soft development in the SHISEIDO beauty creation development center. The kinetic beauty movement was converted into the acoustic information by wearable devices, and its acoustic waves were transformed into the visual information by using the drops device for enhancing beauty movements.